Last Friday we traveled and ran the RNR New Orleans race. 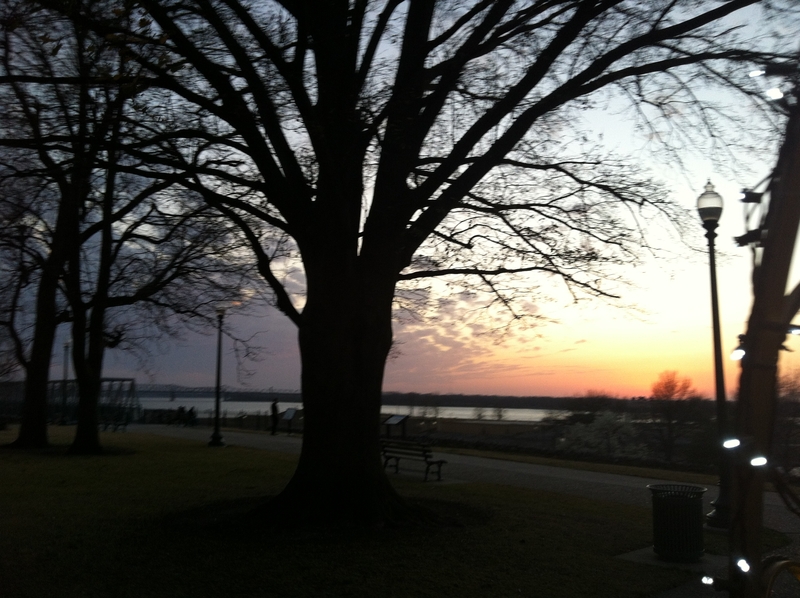 From our location it’s a 13 hour drive that we broke up on the way there into two trips stopping in Memphis. We stayed at the Downtown Residence Inn Marriott and while the staff was very friendly and helpful the rooms were shabby and I wouldn’t plan to stay there again. 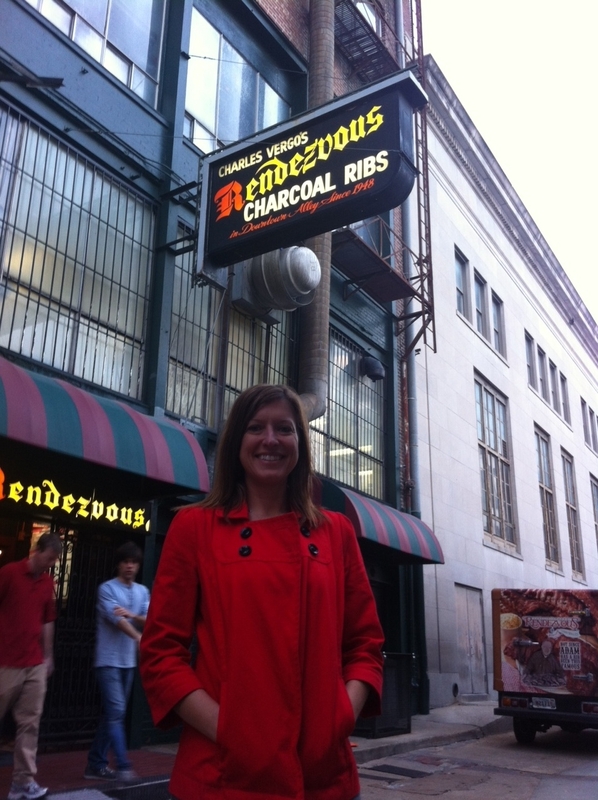 Our hotel was just a block away from Charles Vergos’ Rendezvous Ribs, which is a famous stop that many have recommended so I was looking forward to it. First the location is awesome, it is in an alley across the street from the Peabody. Upon entering you take the stairs down to the basement. The delicious BBQ smell is overwhelming. Their menu is limited with side options, really beans and slaw that has a mustard or vinegar base. 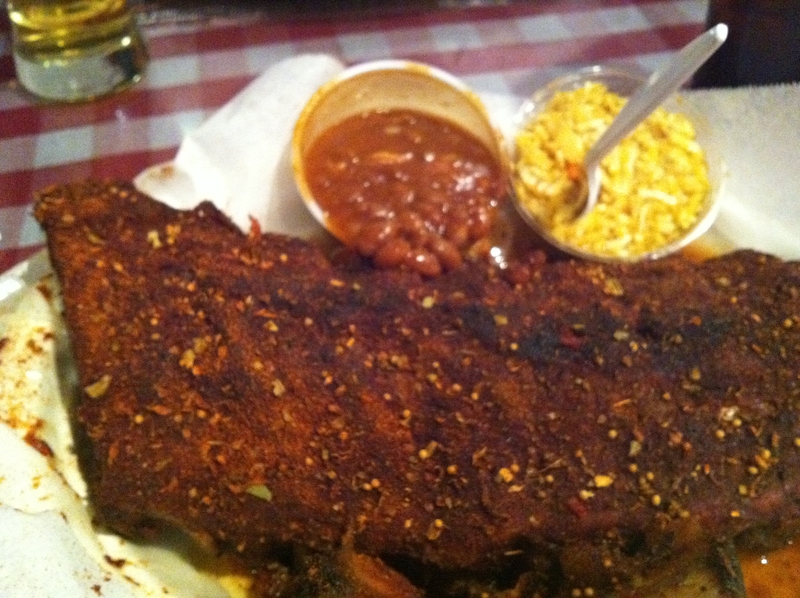 I had the famous ribs and ordered the full slab which was way too much and I only ate half. The ribs are very lean, in comparison to St. Louis style (which is more my preference). I felt like it was too much dry rub and because the meat is very lean, it was very dry tasting in general. I’m glad to have finally tried them, but it wasn’t my favorite. After dinner Rob and I took a carriage ride to see the downtown area. It was so nice to see all of the historic buildings. We then went to bed early so we could get up and get on the road as soon as possible Saturday. New Orleans post to come…. 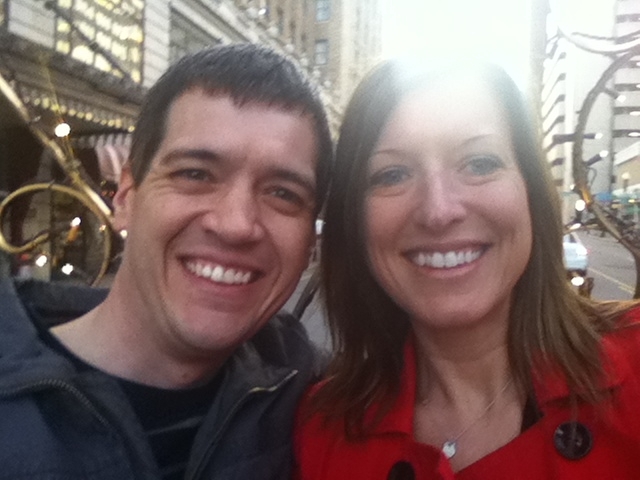 I have been a regular reader of your blog for awhile and am a fellow runner & live in the west suburbs. I have never commented before but my boyfriend and I just did this same trip as you and Rob did. 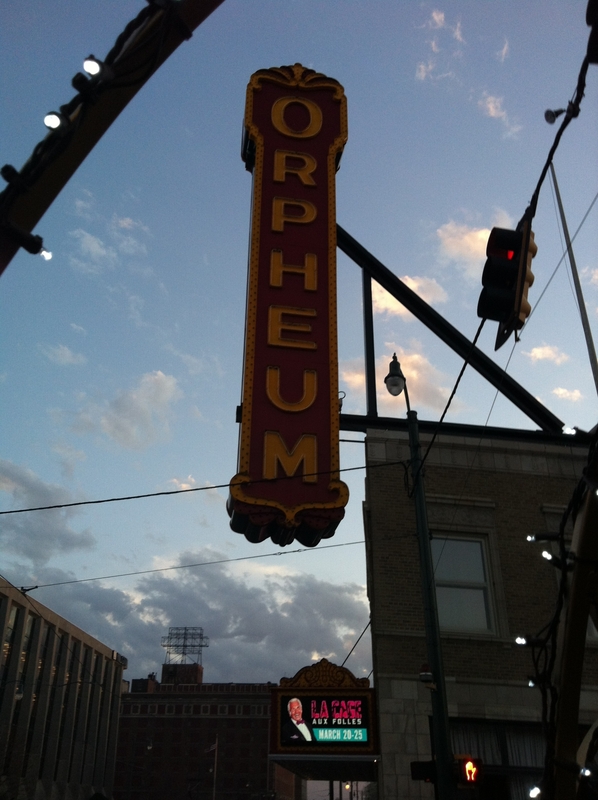 We left Thursday morning stopped in Memphis for the night and ate at Charles Vergos too! We had ribs, brisket and the pork shoulder = yum. We spent the night there and headed to New Orleans Friday morning. It was a blast. We ran only the half but great course although I thought there would be more spectators but I guess Nola isn’t a morning town. 🙂 Hope you had a great run and look forward to reading the recap. Woah-I didn’t know you were running New Orleans! Awesome! I hope you did well.